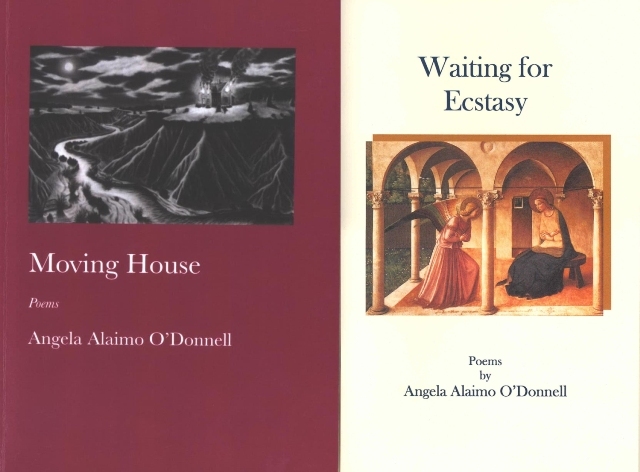 Two lovely books of poetry, authored by Angela Alaimo O’Donnell, were donated to the university library by Brother Robert Smith, FSC, PhD, Vice President for Academic Affairs. “Moving House” and “Waiting for Ecstasy” offer the readers a profound entry into the world of literary grace and power to transport one from the ordinary to the divine. Our sincere thanks to Brother Robert for gifting us with Angela’s poems - from one friend to the other, to a wider circle of other friends…! THANK YOU – SHUKRAN !! !